Monday morning again?! How did that happen?! Who had a fab weekend in the sunshine? We were out in the garden for most of it. Our garden gets full sun all day, and it can get a bit much, so I rigged up a makeshift sun canopy thingy, by attaching a couple of bed sheets to the washing line on one side and sun umbrella on the other. It looked quite funny, but boy is it effective and it gets a nice breeze under there too. 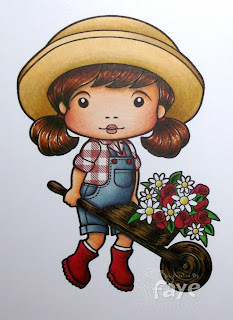 Anyway, it's time for some Inspiration at La-La Land Crafts and this week, it's On The Farm with Gingham... I decided to make a little scene to go inside a picture frame and paper piece a gingham shirt... simples! Don't forget to add your creations to the Customer Gallery for a chance to win some La-La Goodies! 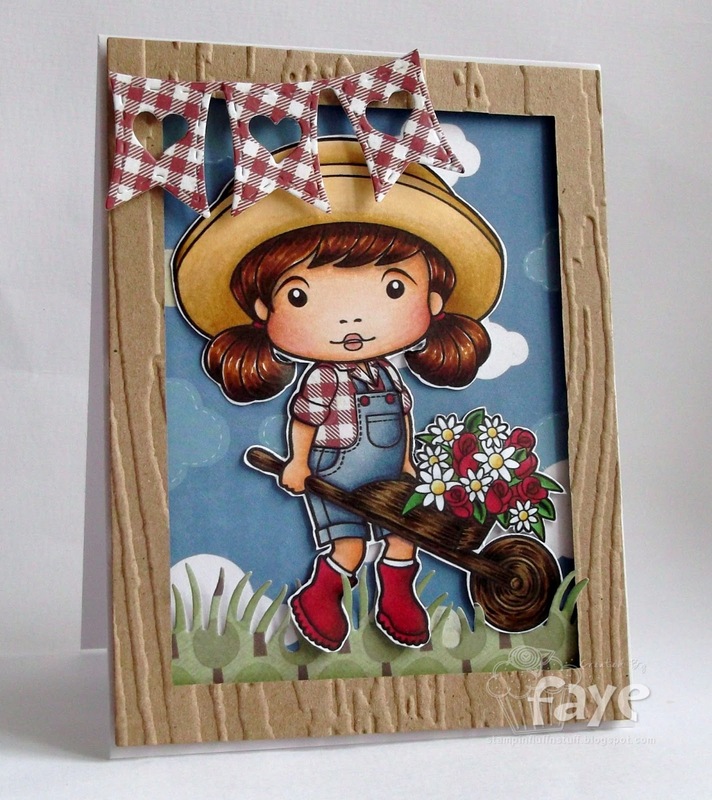 A cute card Faye, I love the scene and how you have popped it inside a frame. wow, super cute card, Faye. Love Framed Marci!!! I had my weekend under our parasol and managed to get quite a good suntan without being exposed to the sun directly. Faberooney card Faye - awesome colouring. WOWSERS!!!!!!!!!!!!! Your colouring is awesome! Love the fabulous card design and the image is a real cutie. hahaha such a funny blog post title! Another gorgeous card Faye. An adorable image, beautifully coloured. By the way, lovely photo in July's Quick cards! This is gorgeous - so sweet, colorful and summery! I love how you framed the scene! Very countrified. Love the gingham shirt. Hugs Muver. So sweet! Love the frame with the banner. The cut out images look awesome Faye. Great scene!